IRISH Sea; variable four; slight or moderate; occasional drizzle, fog patches; moderate or good, occasionally very poor. Shannon and Rockall . . . I don’t know whether that’s a good forecast or not. 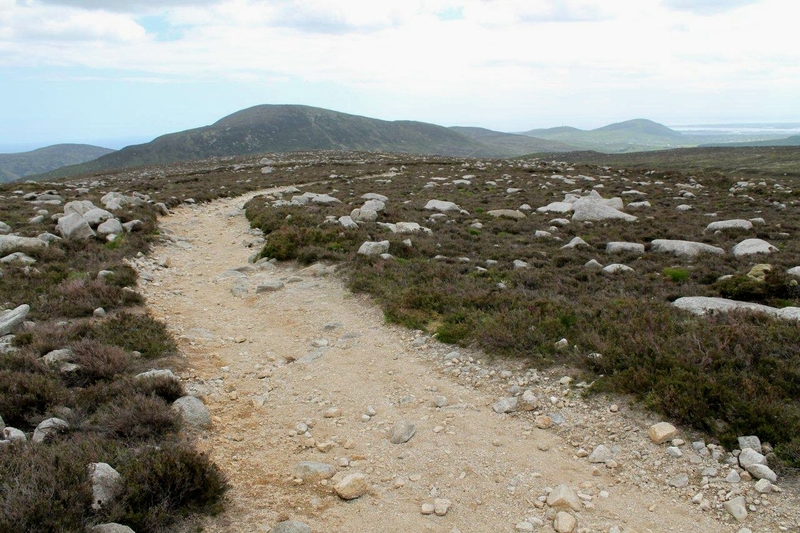 But I’m heading towards the Mourne mountains from Kilkeel and the banks of cloud I observed rolling over the summits as dawn broke have evaporated in the early-morning sunlight. Like the turf smoke that filled the cottage with its heady fragrance last night, and the hoppy tang of the locally-brewed Belfast Ale, they have melted into memory. My friend Zena has bought me a book by Charlie Connelly called Attention All Shipping. It’s a delightful and highly entertaining tour of the shipping areas that surround Britain and Ireland. In common with many thousands of British landlubbers whose maritime experience involves little more than a trip on the Windermere steamers, the Shipping Forecast is in my blood. Like Blake’s Jerusalem, Pancake Tuesday, the theme of Z Cars and the Saturday afternoon wrestling, it’s one of the foundation blocks that created a generation of greying recalcitrants who yearn for a time when everything was nationalised but console themselves with alcohol and the pain generated by climbing mountains. Ours is a sad and disappearing world. 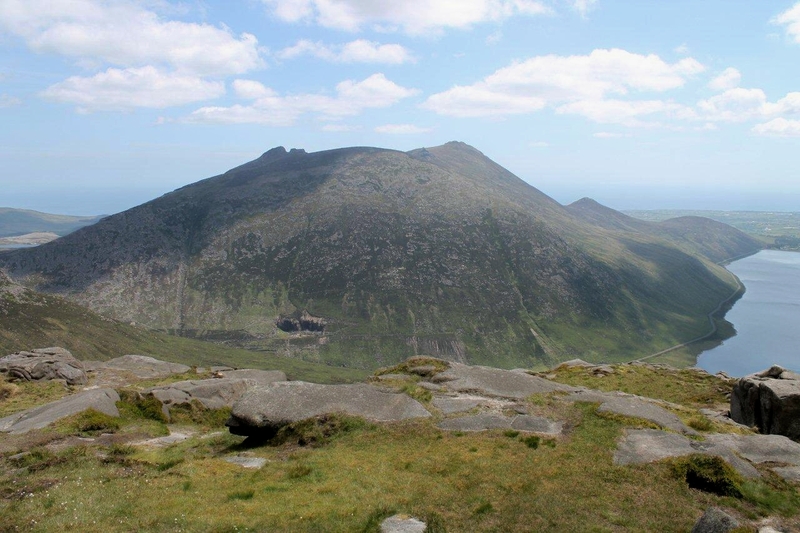 Before writing this post I toyed with the idea of comparing my native Cumbrian shipping area – Irish Sea – with the shipping area off the County Down port of Kilkeel, where our holiday cottage is situated. 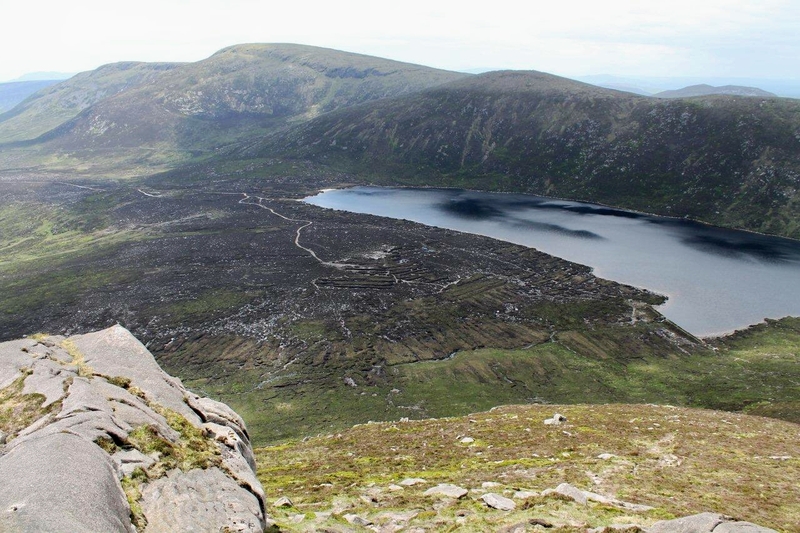 That would make a good theme for a blog post about climbing in the Mourne mountains, I told myself. However, before I had expended too much thought on the project I realised the area was one and the same. It’s not called Irish Sea for nothing. Doh. A few miles behind Kilkeel – a town where Union flags adorn almost every lamppost – there’s an equestrian centre on the B27 road to Hilltown. At the side of the paddock there’s a tiny car park for the use of walkers, and from here a rough track known as Banns Road winds off into the hills. 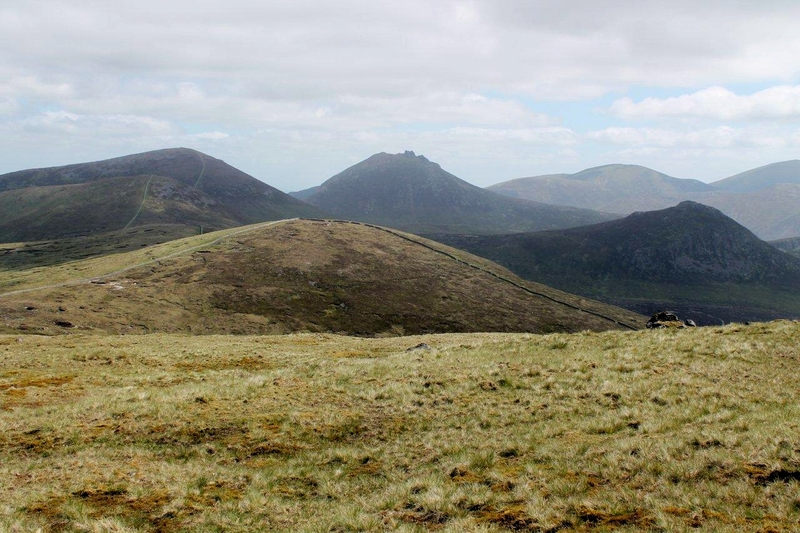 The 874m (2,211ft) ridge of grass and rock that is Slieve Muck, pictured above, rises from meadows and bogs to the north. Actually, that’s north backing north-north-west, to be precise. Visibility good. 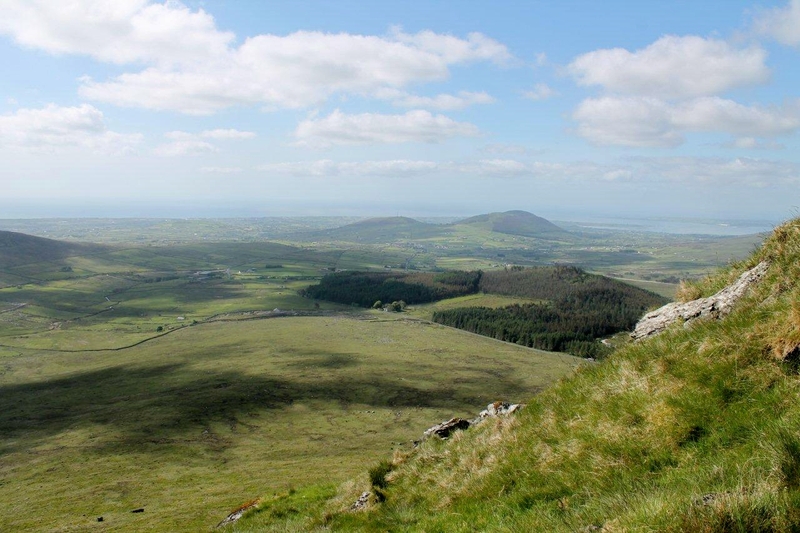 I follow Banns Road to open moors, cut across pleasant boglands where cotton bobs in the breeze, and clamber up the front of Slieve Muck to the trig point on the summit. 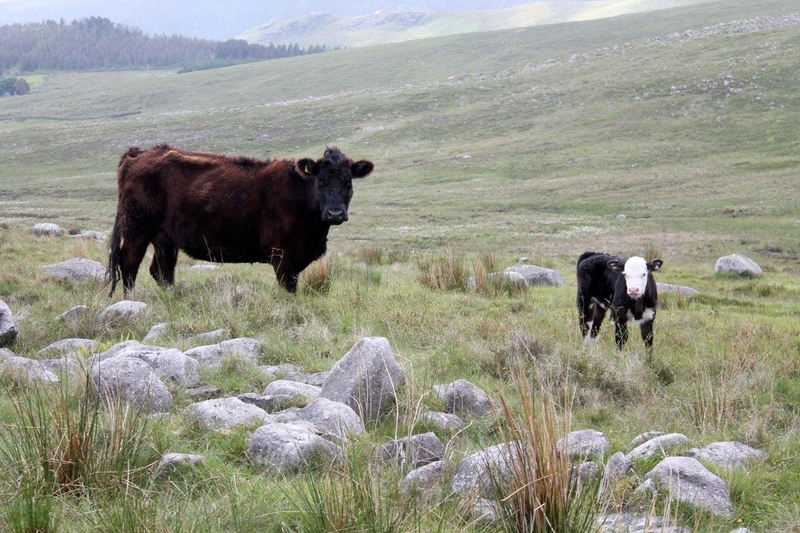 Up here the sheep are marked with daubs of red, white and blue. I don’t know whether there’s a political motive to this or it’s just a quirk of fate that occurred when local farmers were colour-coding their flocks. Returning momentarily to the bedecked lampposts, I’ve also noticed that in the thousands of Union flags I’ve witnessed fluttering the length and breadth of Northern Ireland these past few days, not a single one has been flying upside-down. Give an Englishman a Union flag and there’s a fifty-fifty chance he’ll hoist it the wrong way up. What do you mean, you don’t like to admit it but you’re not a hundred per cent sure which way up the Union flag should fly? Join the Cubs. I wasn’t a sixer for nothing. 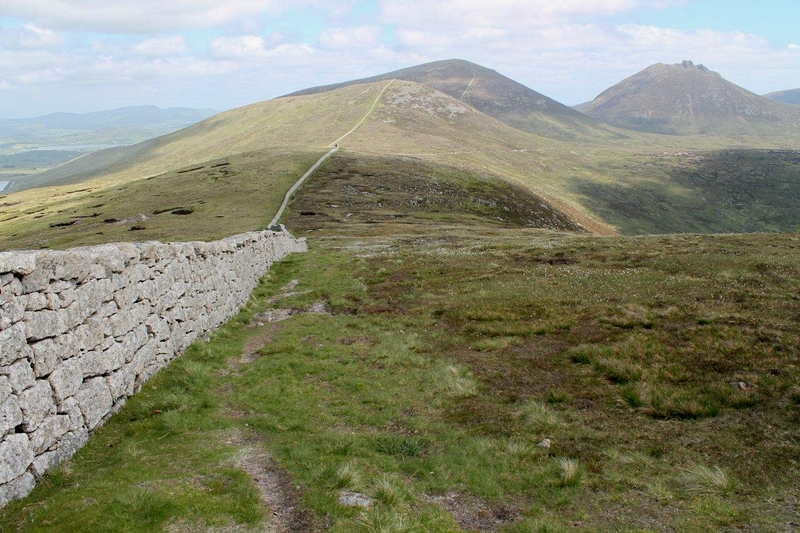 The Mourne Wall rises up steep ground from boglands to the east to cross Slieve Muck’s windy summit, then angles north along the ridge towards Carn Mountain (588m, 1,929ft). 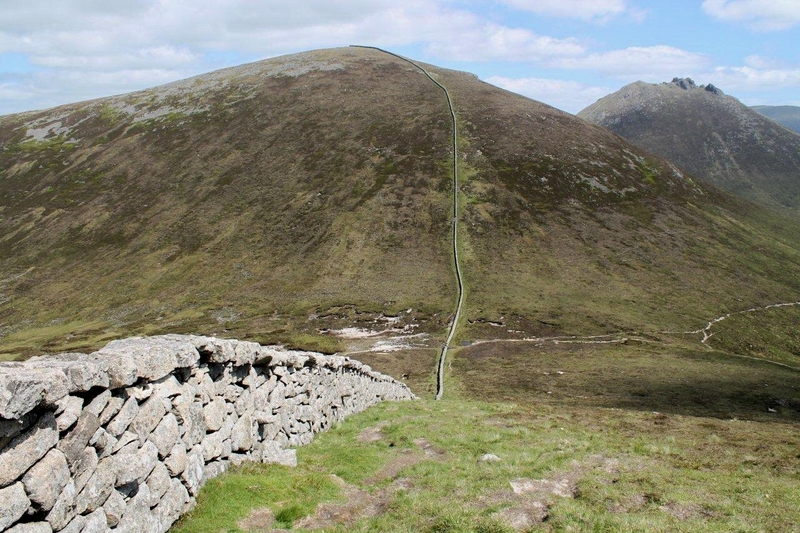 The wall, as mentioned in my previous post, was constructed during the early years of the last century to enclose the catchment area of the Mourne reservoir scheme and has a total length of 22 miles. 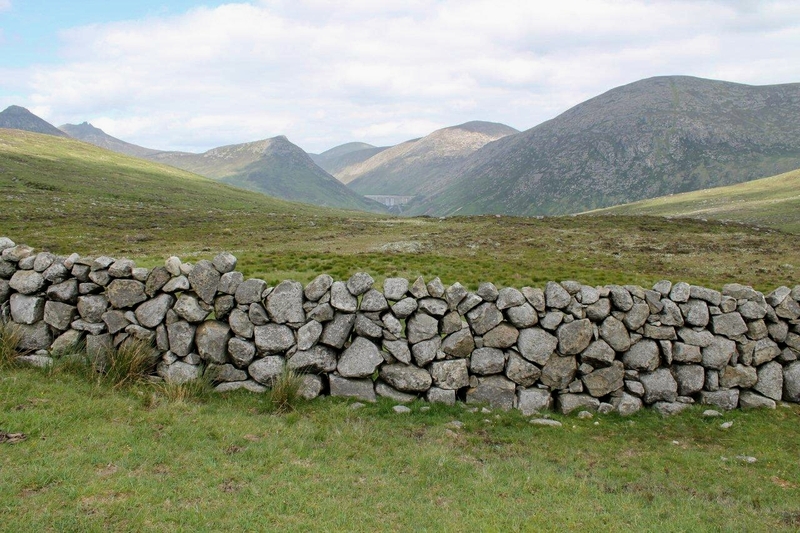 As stone walls go, it’s particularly interesting because it has been built in a variety of styles. Well, I think it’s interesting anyway. 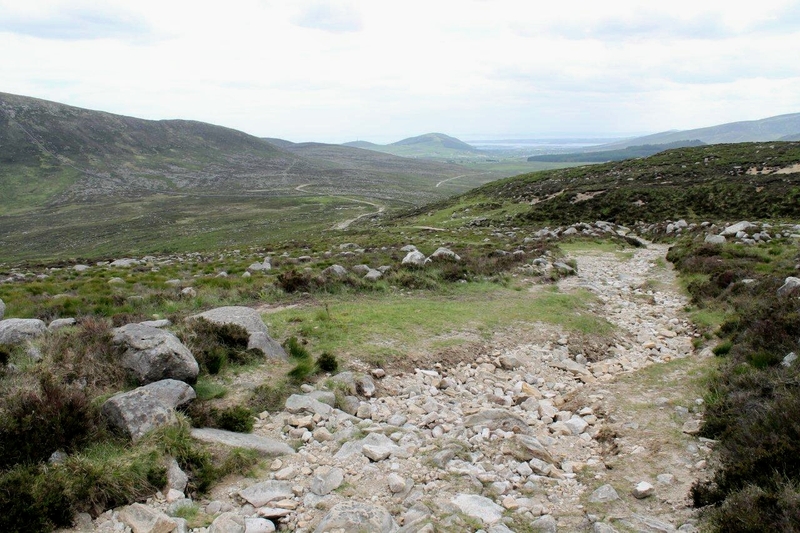 Much of the section from Carn Mountain to Slieve Loughshannagh (619m, 2,030ft), is topped with flat granite slabs. It is possible to stride out at an impressive pace upon the wall itself. But you’d look an idiot if you fell off and broke your leg. 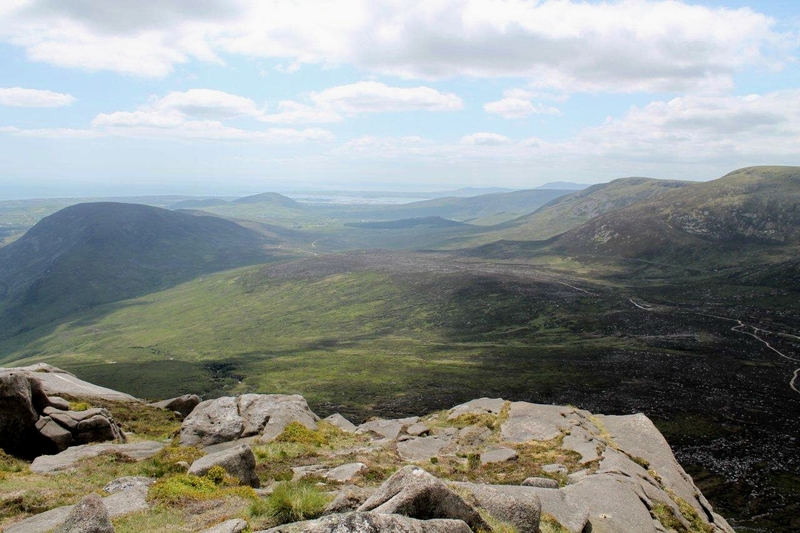 From a dip between Slieve Loughshannagh and Slieve Meelbeg, I veer south-east across peat haggs towards the granite peak of Doan (526m, 1,725ft). 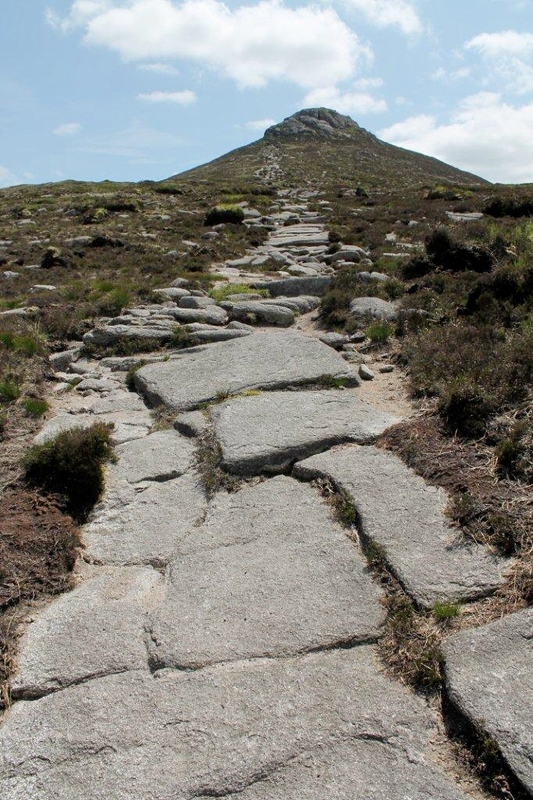 A slabby path leads through heather directly to the summit. 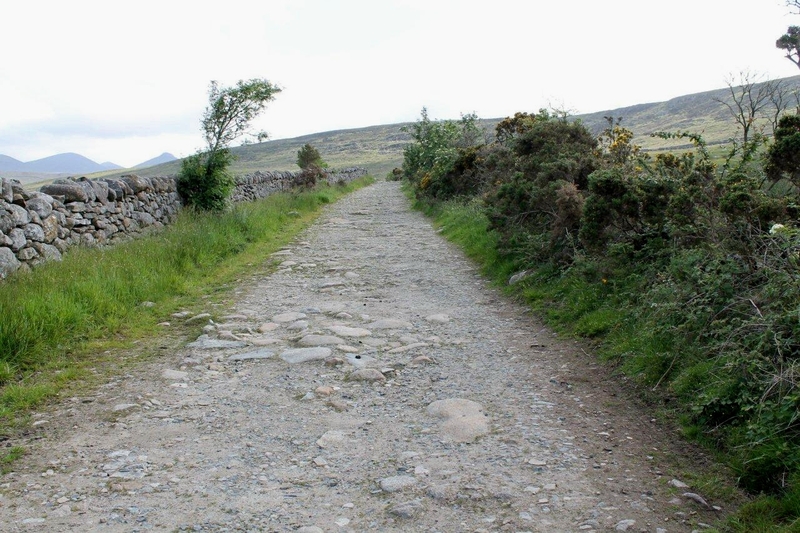 I call it a path, but I’m not sure it is because it has the appearance of a natural stone avenue leading straight up the mountain, or a road left from prehistoric times. Doan’s Irish name is Dun Maol Chobha, which means Moal Chobha’s fort. 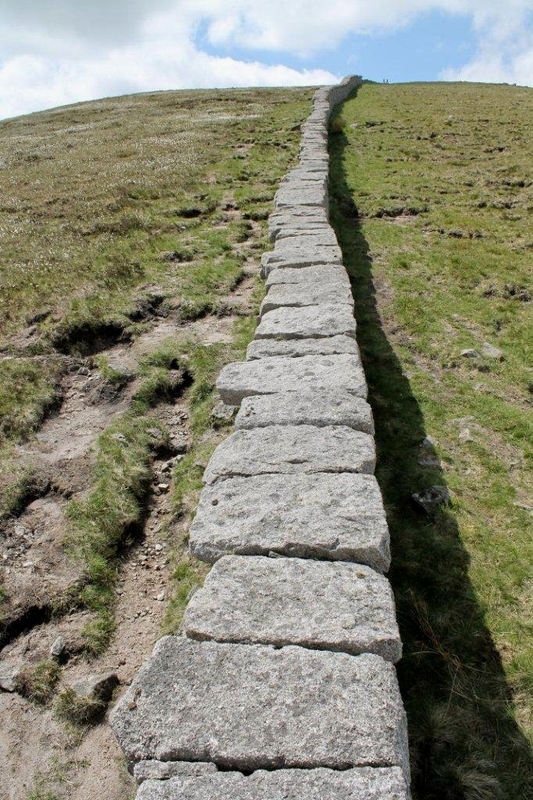 Path, ancient highway or natural phenomenon, it’s a splendid route to a splendid summit. Moal Chobha’s fort offers magnificent views across mountain landscape to distant farmland and the silver rim of the Irish Sea. No better place exists for a cup of tea, a cheese and pickle sandwich and a snooze in warm grass. So long as Moal Chobha doesn’t mind. I don’t want to wake up with a bronze spear poking my ribs. 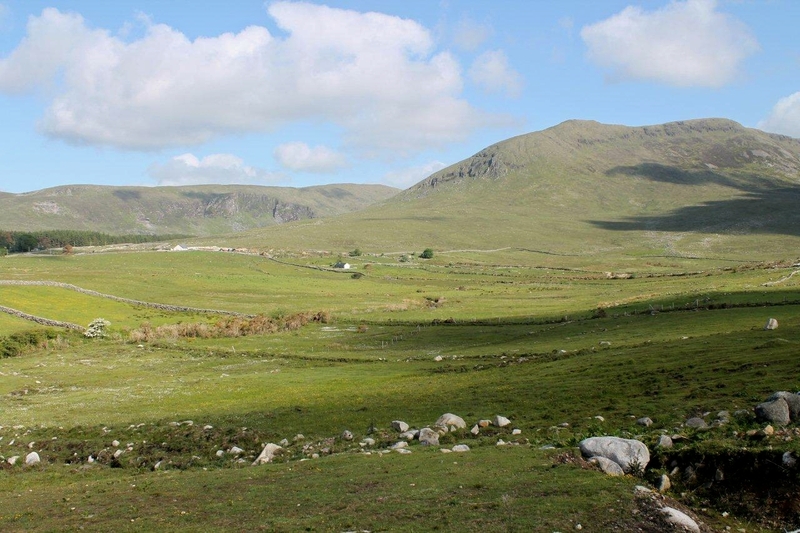 At the southern foot of Doan I rejoin Banns Road and make my way through old turf diggings to Lough Shannah and a dusty trudge back to the car with the sun in my face. That would be the end of the tale, but I round off the day in true Shipping Forecast style. Last night we dined on excellent fish and chips from the Trawlerman chippie opposite the Orange Hall in Kilkeel. Tonight, with the dust knocked off my boots, I drive to the harbour and we spend a pleasant few minutes chatting to the proprietor of Heather’s fish van – whom we assume is called Heather. The cod, haddock, hake and herring are fresh in off the boats, Heather tells us, as we leaf through a James Martin recipe book she has provided for the convenience and enlightenment of her clientele. We purchase fillets of haddock and hake – which Heather skilfully debones for us – and a pot of crab claws for good measure, then head back to the cottage to turn on the oven and crack open the Belfast Ale. Is there anything finer than a walk over airy mountains, fresh fish on a plate, a glass of golden beer and the scent of turf burning in a black grate? If there is I have yet to find it. 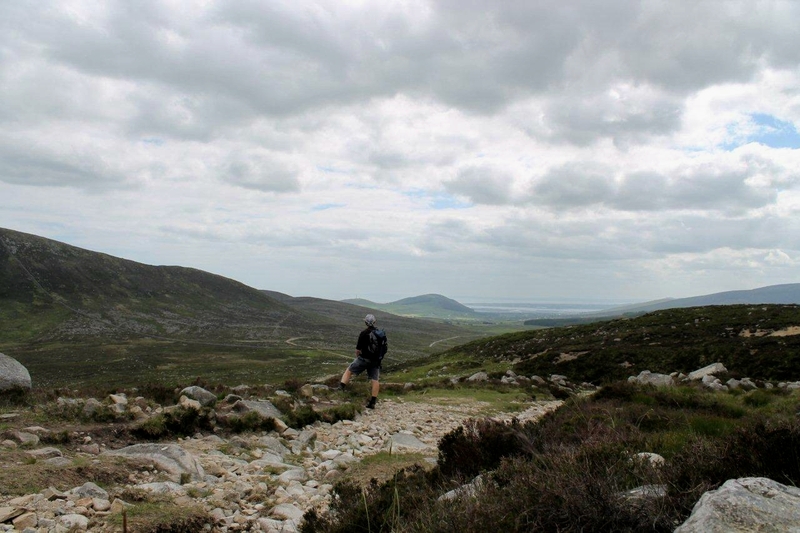 This entry was posted in Climbing, Cookery, Environment, Food, Hiking, Mountains, Mourne Wall, Shipping Forecast, Walking, Writing and tagged Ireland, Mournes, outdoors, WPLongform. Bookmark the permalink. As a Cub leader I feel ashamed to admit I get confused which way the flag should go, I know it’s to do with the thickness of the diagonal bars but still get it mixed up on occasion, luckily the flag for the pole has the correct fasteners so only attaches one way (well could go other way but would take some doing). I leave all the flag business to our Scout leaders. Ha ha. That’s some admission Derek. Yes, the broad white stripe should be at the top corner next to the pole. We were told, as Cubs, that if it’s the wrong way up it’s classed as a distress signal, but I read somewhere recently that that’s a myth. I should look into it. Great post and great theme for it. I used to love listening to the shipping forecast – both for the intonation of the reader who said certain words like ‘good’ in one tone and so on (like the football scores with different tones for the winning score and draws). I also used to love the names of the shipping areas and wonder where they all were. I also used to love when they read out a dire forecast of heavy rain and gales and severe cold and then say… ‘good’ – meaning the visibility of course but I didn’t know that and wondered what was good about the preceding bit! Those look really nice hills and it’s good to see nice paths everywhere which I can’t always say I find when doing the Munros. Being English, I like a good path! Hiya Carol. I agree with every single word say, even down to the path thing. I like a good path to follow. 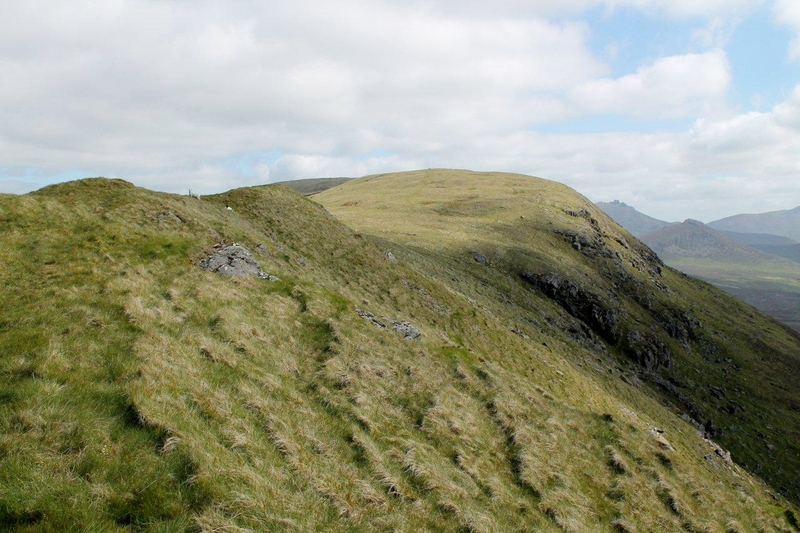 I find that when you’re up on some of the more remote Munros, you can be following a path and then it suddenly, for no reason at all, peters out into nothingness. It happens again and again. I think it’s done to confuse us. You’ll have to get hold of Charlie Connelly’s book, Attention All Shipping. Not only is it a great read, it’s full of interesting facts about the seas that surround us. Ah, funny you should mention that, Chris. I watched a programme about butter last week, and apparently the best butter in the world comes from Ireland. Yes, bread and butter. And we had a few more beers and some wine as well. 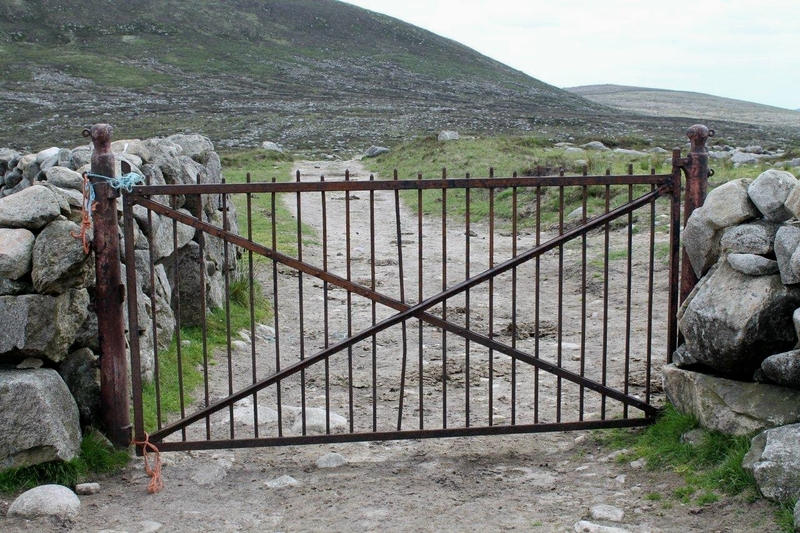 It’s lovely pictures you show of Ireland. I checked the history of precipitation. April and May seem to have the best hikingvejr. The pictures of cotton bobs provide stark reminders of blue mountain lakes in Norway. Hej Hanna. I think you just have to go and hope you’re lucky. We had stormy weather in June once, and a heatwave at Easter another time. 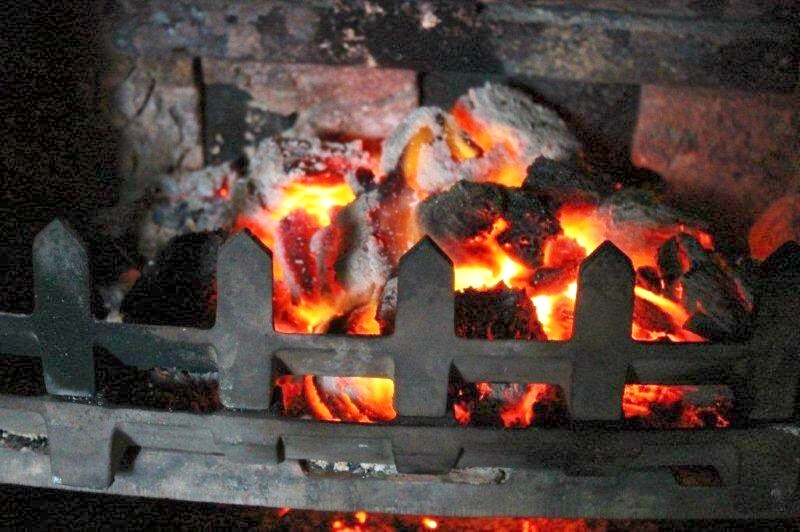 There are always pubs to nip into for a warm welcome if you get cold and wet. I like the bog cotton. It reminds me of a holiday in Orkney when I was a child. And that’s the nearest I’ve ever been to Norway. And you must drink the “black stuff” Hanna. It’s mandatory. It’s enshrined in law. What a brilliant looking walk, some lovely views there. Class! Hi Tracey. Thanks for that. It’s just a shame I didn’t get another walk in. I had a couple planned but didn’t have time. Mrs P, you almost have me yearning for winter. But not quite . . . Yet another enjoyable post with plenty of interesting info. It looks a fantastic area. My lack of flag based knowledge has also been highlighted because I did not know that the Union Jack had a top or bottom. Now every time I hear “Fisher, German Bight” it reminds me of this. It’s odd how things lodge in your mind. 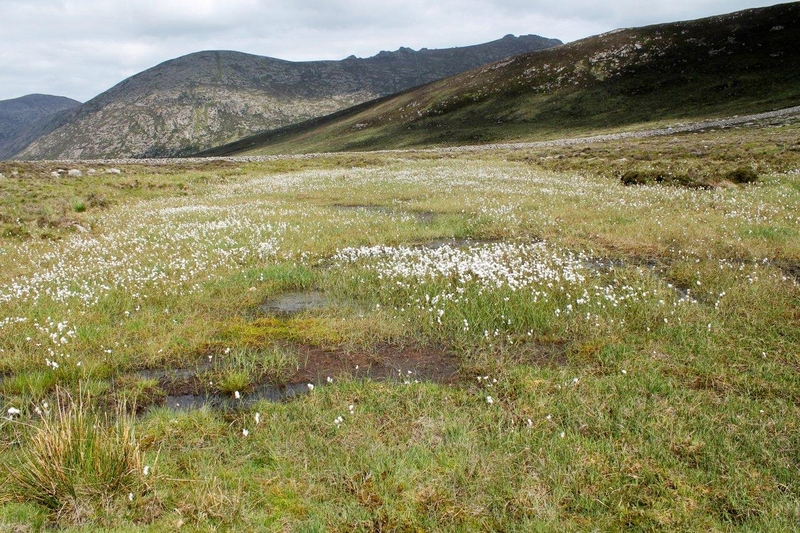 There is a lot of Cotton Grass about at the moment. I was on Cross Fell yesterday and in some places the fell side is white with them. Hi David. Another Englishman caught flagging. Perhaps I underestimated the numbers at fifty per cent! I watched the Kes clip and it had me laughing. That’s exactly what school was like in those days. Ken Loach gets it right every time. I’ve seen the film, but many years ago. I’ll have to see if I can pick one up on DVD. In fact, I remember the film coming out because they showed an except on Blue Peter, the scene on the school field where they’re playing football and the games teacher – played by Brian Glover – hogs the ball. That’s one of the greatest scenes of British cinema. And that brings us almost full circle, because Glover was also a professional wrestler and one of the stars of Saturday afternoon wrestling. 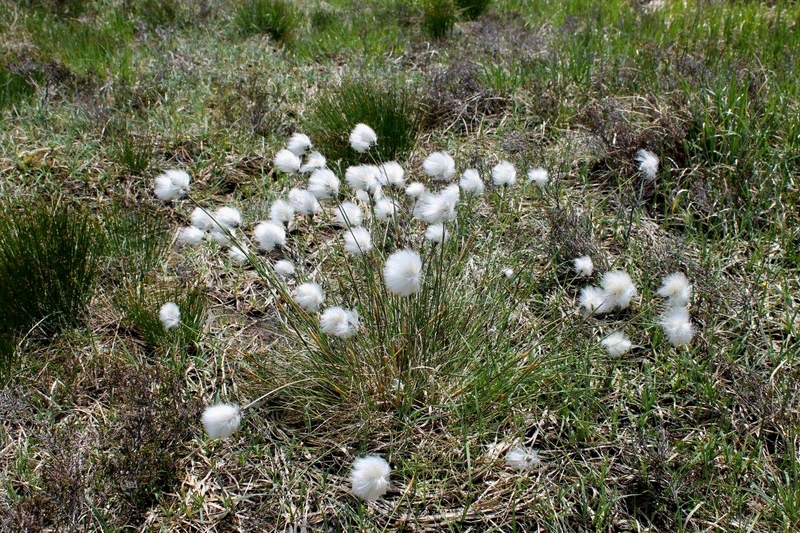 I take it Cotton Grass is the plant’s official name, you being deeply into all things natural. I shall refer to it as that in future. Righty-ho. Don’t know where I got the name bog cotton. Must be one of those terms you grow up with, like “stinking onions” for wild garlic and King George for a tortoiseshell butterfly. I knew this post (and the preceding one) needed a full coffee break and I was right! What a wonderful place, and I just love the photo looking up the path to Moal Chobha. Evocative as ever – I don’t know this part of the world so it’s fascinating to see. The ‘wrinkled’ rocks in the previous post are intriguing. I’m guessing that’s erosion of some sort. Thank you for another great journey, superbly described as always! Hi Jo. Thank you very much for that. I like the Moal Chobha picture too. 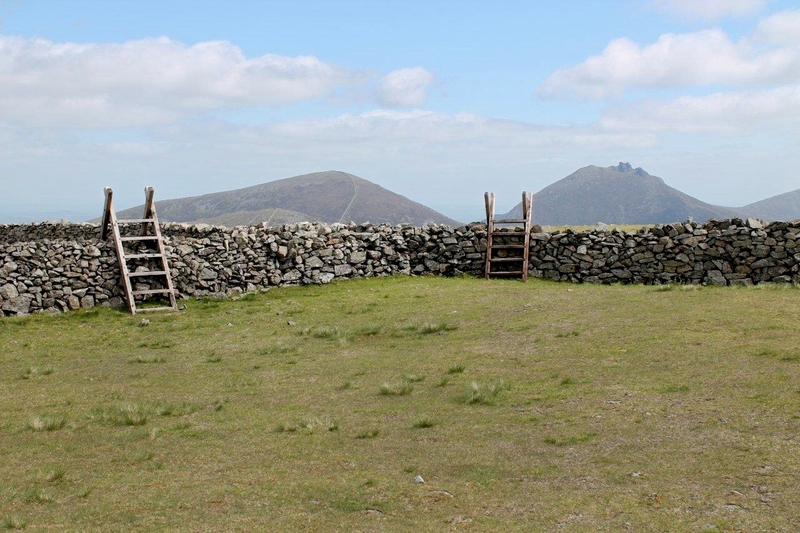 It’s an intriguing fell with a fine rocky summit. 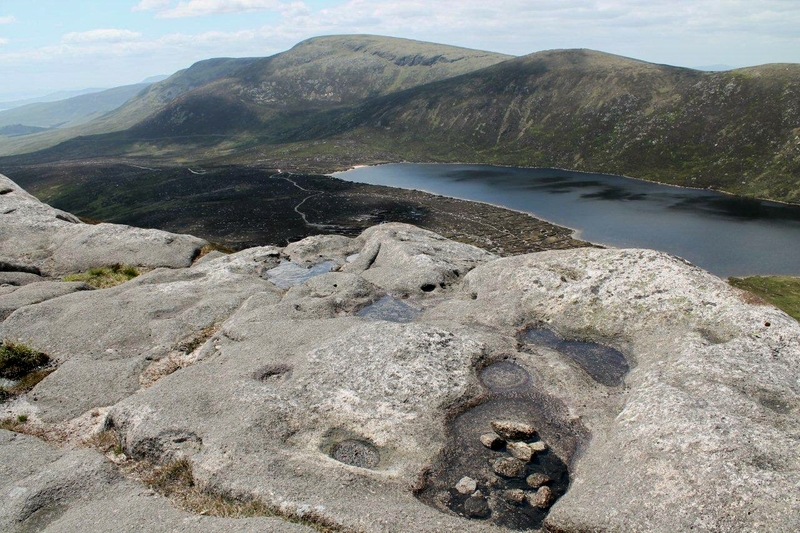 The wrinkled rocks are similar to the rock “barns” on some of the Cairngorm summits. I expect they were formed in a similar fashion. But don’t take my word for it. I shall remember that and probably insert it into a future post.